The two biggest issues in the 2018 election for County Executive are likely to be education and the pace of development. The non-partisan Anne Arundel Chapter of the Maryland League of Conservation Voters endorses candidates based on which candidate will be better for the environment. Carefully managed development can result in gains for the environment. Poorly managed development can be devastating to the environment and to our quality of life. Poorly managed development can also impact schools, exacerbating over-crowded classrooms and straining inadequate school budgets. Both candidates for county executive, Steve Schuh and Steuart Pittman, have a broad grasp of environmental issues and have made commitments to better manage the pace of development. While Mr. Pittman’s promises are somewhat more specific and comprehensive, the determinative factor in deciding between them is credibility: which one is more likely to fulfill those commitments. We find Mr. Pittman more credible when it comes to managing development. We endorse Steuart Pittman. Mr. Schuh and Mr. Pittman both have deep roots in the county. They are comparable in age. They come from upper middle-class backgrounds with solid academic credentials. Mr. Schuh pursued law, finance and business before pursuing public office. Mr. Pittman worked for years as a community organizer before returning to manage his family’s 550 acre farm in Davidsonville where he founded a non-profit organization that enjoys national stature. This is his first run for office. During his time as a community organizer, Mr. Pittman worked extensively on environmental issues. As president of the Maryland Horse Council, he created its first stewardship committee. In leadership positions with the Soil Conservation District and Anne Arundel Farm Bureau he worked to build bridges between agriculture and the environmental community. Last year he worked with other community and environmental leaders to limit the excesses of an Agro-tourism bill championed by Mr. Schuh. Working with other community groups he has also been a leader in the effort to expand public participation in the next general development plan. He is committed to enforcing the GDP and other environmental laws, preserving forests and strengthening the stormwater program. He is a strong supporter of increasing open space and water access. He has committed to manage development in a sustainable manner better matching development with infrastructure improvements. These commitments are attainable and entirely consistent with Mr. Pittman’s actions over the past several years. We find them highly credible. 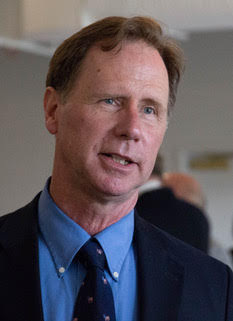 As a delegate, Steve Schuh had a mixed record on the environment. He scored 100 percent one year but had a mediocre lifetime score. He voted for the bill that authorized counties to adopt stormwater fees and promised that he would support the stormwater bill pending before the AA County Council. When his opponent used it against him in the Republican primary, he did a 180-degree turn promising to repeal the bill. His efforts at repeal were unsuccessful. Following his election, Mr. Schuh appointed a land-use transition team dominated by development interests. During his first two years in office he spoke of the need to “kick start” growth. He supported a bill that gave developers millions of dollars in reduced sewer and water connection fees. He supported a bill that allowed developers to hire their own engineers to review and approve substantial parts of their development plans. During his watch, the county lost more trees than any other county in the state. Developers received record numbers of zoning variances and modifications. The Schuh administration sided with developers to transfer development rights from non-waterfront to waterfront property until the Critical Area Commission ruled it illegal. During each stage of the litigation challenging those actions, the administration fought to deny environmental groups the right to participate. It is against this background that we have evaluated the several bills recently proposed by Mr. Schuh to manage development. In our view, those bills are helpful but will not have a significant long-term, limiting impact on development. In light of his record to date on development, we find Mr. Schuh’s recently professed commitment to rein in growth lacking credibility. Check out the article on Eye on Annapolis here. Through his budget powers, veto authority and horse trading, the county executive has a significant influence over the work of the county council. While the current county executive has done some good things for the environment like preserving open space and enhancing public access to waterways, he has also encouraged an accelerated pace of development that has harmed the environment and out quality of life. That is why we have endorsed Steuart Pittman for county executive. This is the last in our series of emails introducing you to our endorsed candidates for county council and county executive for the 2018 elections. Steuart Pittman was raised in a family that took preservation and responsible land stewardship very seriously. They have preserved for perpetuity a 500-acre tract in south county, the majority of which is forest. As a community organizer in Chicago, Steuart protested hazardous waste storage that was leaching cyanide into groundwater adjacent to public housing. As Maryland Horse Council president, he created a vibrant and progressive farm stewardship committee. As a board member of the Anne Arundel County Soil Conservation District he brought farmers and environmental advocates together to promote responsible management practices. Steuart has pledged as county executive to bring communities together around a General Development Plan for the next eight years that manages growth in a way that is fiscally and environmentally sustainable. He has pledged to work toward a no-net-loss forest conservation plan, and to aggressively enforce stormwater management, critical area, and septic laws. He will conduct an audit of recent development in the county to measure the long-term costs and benefits to taxpayers and the environment. That data will guide future planning. You can find out how to get more involved in this campaign how to contribute here: https://www.pittmanforpeople.com or on Facebook at: pittmanforpeople. Join Steuart and his sister Polly for a wine fundraiser on June 9th at Polly’s spectacular Vineyards at Dodon. Meet Steuart and our other endorsed candidates at the Anne Arundel Chapter’s fundraiser for the Anne Arundel elections and win coffee or a drink with Mayor Buckley. It will be on Friday, June 8th from 5:30 until 7:30 in Annapolis. Register here. The Anne Arundel Chapter has endorsed seven candidates for the County Council. We are confident that, if elected, they will give Annapolis a strong conservation majority on the Council. Now we have to get them elected. This is the latest in a series of weekly emails that focus on one candidates each week. 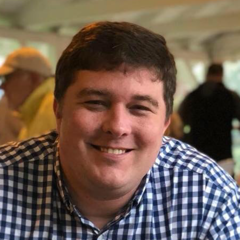 This week we will introduce you to Scott MacMullan, a Democrat running for County Council District 6 to replace Chris Trumbauer who is term limited. District 6 includes The Annapolis peninsula Sherwood Forest and Crownsville. Find your County Council District here. The Chesapeake Bay is under tremendous stress due to excessive amounts of nitrogen, phosphorus, and sediment pollution. This stress is exacerbated by climate change. In District 6 we need to start acting as if tomorrow matters—and take a sustainable approach—by fighting for stormwater restoration projects, fighting to conserve our forests and fighting against unfettered development on the Annapolis Neck Peninsula. As a native Annapolitan, growing up sailing the little bathtub boats, Optimist Prams, on the Severn River, I saw first-hand how pollution affects our health, welfare and our economy. Every day during the summer as a child, I would pull my boat out of the water and there would be a yellow scum ring around the waterline of the boat that I would wash off. In law school, I wrote an article about the Chesapeake Bay and climate change, and I quoted this young riverkeeper named Chris Trumbauer in that article. Inspired by Councilman Trumbauer, I have followed his career since and want to build on his environmental legacy. I am running for District 6 on the Anne Arundel County Council because I am committed to public service and want to improve people’s lives in my hometown. Indeed, I am fed up with how the County’s plan for development (the General Development Plan) is routinely not followed to the detriment of the people and their communities. Serving in a variety of capacities to our community, including working for the Chesapeake Bay Foundation and being a member of the Scenic Rivers Land Trust Board, I have the depth and breadth of experience to be an environmental advocate for the people. As an environmental leader, I stand ready to guide the entire community into a prosperous future, work through any differences and to bring our community together. You can find out how to get more involved in this campaign at www.electscottmac.com or Scott MacMullan for County Council on Facebook. Meet SCOTT and our other endorsed candidates at the Anne Arundel Chapter’s fundraiser for the Anne Arundel elections and win coffee or a drink with Mayor Buckley. It will be on Friday, June 8th from 5:30 until 7:30 in Annapolis. Make sure you register here. This is the latest in a series of weekly emails that focus on one candidates each week. This week we will introduce you to Amanda Fiedler, the Republican candidate challenging incumbent Michael Peroutka for the Republican nomination in District 5. Mr. Peroutka has the worst record on the environment of any member of the Conty Council. District 5 stretches from Severna Park to the tip of the Broadneck Peninsula. Find your County Council District here. "My family has lived in Anne Arundel County for four generations. After graduating from Broadneck High School, I earned my BA from Salisbury University and went on to a career in media strategy for Republican campaigns across the country. I always knew I would raise my family here so that my three boys would experience all that this community has to offer. I have fond childhood memories of playing in the Severn River, crabbing on our community dock, and hiking through area woods. Our natural resources are one of the reasons our district is such a desired place to raise a family. Preservation of these resources is important to our future. My campaign evolved from my work in our communities, providing leadership on the issues that impact us most. For years I have testified at the county and state level on various legislation. I serve on two boards at our local hospital, and founded a non-profit that has saved hundreds of lives. I'm a member of our local Chamber of Commerce and serve as PTO President for a school of nearly 800 children. I'm not a career politician. The County Council decisions impact our lives on a daily basis. I believe we need someone who is engaged with the public, clear in communication and willing to work collaboratively on the issues. My record is one that has all of these important leadership skills. It's imperative that we work together to serve our community and ensure tax dollars are working effectively for our common goals and preserving the characteristics of our District that make it such a desirable place to live. I will work tirelessly to represent District 5, for my family and for yours." You can find out more about how to contribute to and get involved with Amanda’s campaign at www.voteforfiedler.com. Meet Amanda and our other endorsed candidates at the Anne Arundel Chapter’s fundraiser for the Anne Arundel elections. It will be on Friday, June 8th from 5 until 7 in Annapolis, more details here. The Anne Arundel County Council has seven members. It takes a majority of four votes to pass any bill, including any bill to protect our environment. The AA Chapter has endorsed six candidates for the County Council. We are confident that, if elected, they will give Annapolis a strong conservation majority on the Council. Now we have to get them elected. This is the first in a series of weekly emails that focus on one of those candidates each week. 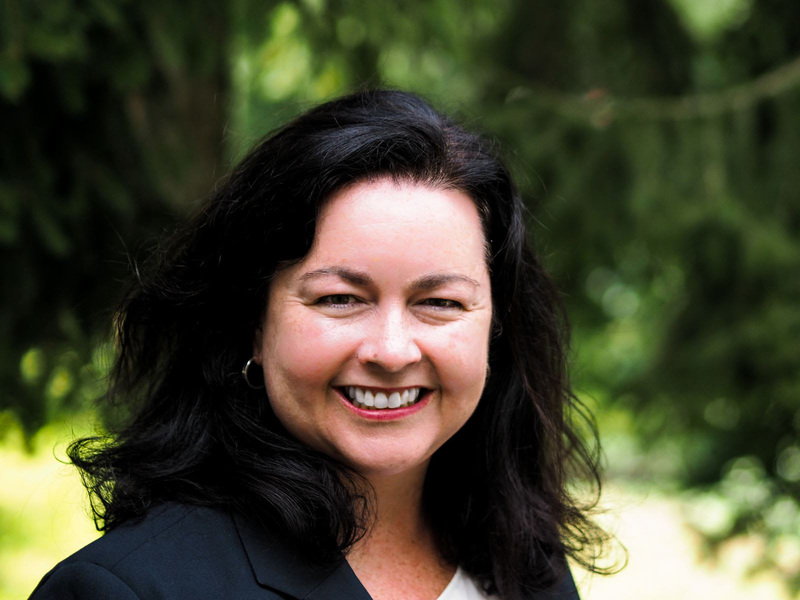 This week we will introduce you to Allison Pickard, candidate for District 2. District 2 lies in the northern part of the county between Severn and Glen Burnie. Find your County Council District here. Maryland’s natural resources are our greatest treasures and also an economic engine for our region. There’s never been a more important time to dedicate our efforts to clean air, clean water, and renewable energy sources. The health of our children, communities, and future is inextricably linked to the health of our local environment and resources. The combination of strong leadership, practical professional experience, and higher education have served me well as I pursue common-sense, results driven solutions to community issues. I have forged strong relationships with other leaders in the county through my work with PTA, the Board of Education, and the School Board Appointment Commission but the most significant work of my campaign has been engaging with thousands of neighbors in my district to really understand what is important to them. I, along with my husband Joe and 3 school age children call Millersville home. We share the concerns with our District 2 neighbors in Glen Burnie and Severn about strong public schools, safe streets, and smart growth. As a candidate for County Council, I bring a refreshingly pragmatic and results-based approach to policy decisions. Reflecting on my life-long values, I remain committed to working hard and reaching out to all community members, business and labor leaders, elected officials, and community groups to make Anne Arundel County the best it can be. Meet Allison and our other endorsed candidates at the Anne Arundel Chapter’s fundraiser for the Anne Arundel elections. It will beon Friday, June 8th from 5 until 7. Stay tuned for details. We have sad news, one of our co-founders Ajax Eastman has passed away on Friday morning of March 2nd. In 2014 we awarded her the John V. Kabler Award for her dedication in protecting Maryland's environment. Involved in environmental issues since 1970, Baltimore City’s Ajax Eastman cofounded the Maryland League of Conservation Voters in 1979. She was on the board of the Maryland Environmental Trust, past President of the Maryland Conservation Council, co-chairman of the Maryland Wild lands Committee, and on numerous state boards and commissions. Ajax's frustration with the failure of traditional lobbying and testimony to pass a bottle bill through the General Assembly led to her decision to enter the political arena through Maryland LCV. She also took on a more successful fight to protect the crown jewels of Maryland’s protected lands—the wild lands, even becoming a namesake. In addition to her hard work in Annapolis, she also is a naturalist and teacher of the state’s natural wonders to kids at camps and in Maryland parks. Ajax's memorial service will be on Saturday, March 17th at 2:00 PM at Brown Memorial Presbyterian Church on Charles St in Balt. No doubt about it, LIFE is TOO FULL. Three (teenage) boys, running my own architectural business, keeping the home ‘presentable’, much needed exercise, eating right, and maybe even some quiet time for myself. When DO I get to spend time with my husband, Lance? Thankfully, Lance and I share more than just a passion for each other – but also a passion for our environments. We are both architects, having met and married while at Mississippi State School of Architecture. Our relationship developed through our desire to shape our built environment. But, most importantly today, we are able to share our passion for our natural environment through our roles on the boards of Maryland LCV and Maryland LCV Education Fund, respectively. We decided to move to Maryland not only for the career opportunities, but also because we fell in love with Maryland’s diverse natural landscapes which we knew would be great for raising our family. As busy as life can be – I make a particular effort to enjoy the wonderful landscapes that Maryland has to offer. In our hometown of Edgewater, I especially love boating and rafting up Harness Creek. Biking with the Boy Scouts leads to trails of mud in the woods or paths around BWI Airport. We love camping at the beach for LAX tournaments. Every donation will be TRIPLED when you donate and go towards helping us clean up the Bay, address climate change, and keep Maryland healthy! Several years ago I made the decision to work towards a just society by focusing on the environment and improving the environmental conditions in local communities. And every day I work alongside our Chispa Maryland volunteers and Promotores I know I made the right decision. As the Director of Chispa Maryland, I see every day the passion and commitment of my community when it’s time to protect the health of our families and fight for a cleaner and healthier environment for all. Their passion and the fact that this is a matter of life or death for our families, since we are overexposed to air pollution and we are some of the most impacted by climate change is what moves me to work day after day energetically with our volunteers and Promotores. Now we are working on an exciting campaign, Clean Buses for Healthy Niños or Kids. As a part of the settlement for Volkswagen cheating federal emissions tests, they are paying a $14.7 billion, of which Maryland is receiving 75 million and can use to upgrade our aging fleet of toxic diesel school buses to zero-emissions electric buses. Thanks to supporters like you, this campaign would be able clean the air in our communities, bolster the fight against climate change, and protect the lungs of the 623,000 kids who ride buses every day. This is last in our series of staff stories, sharing what makes us so passionate about this work. I hope you’ve enjoyed hearing from us and continue to be such great supporters of my work with Chispa Maryland and the entire Conservation Voter Movement.